I had a bunch of left over clay from my water fountain project, so I've been wasting it on making stupid things every once in a while. For some reason I wanted to make a little clay figure with a moving head, so I threw this together this demonic looking thing really quick. The microcontroller here is an Atmel ATtiny85. Kind of reminds me of cheesy special effects from a 80's horror movie :). 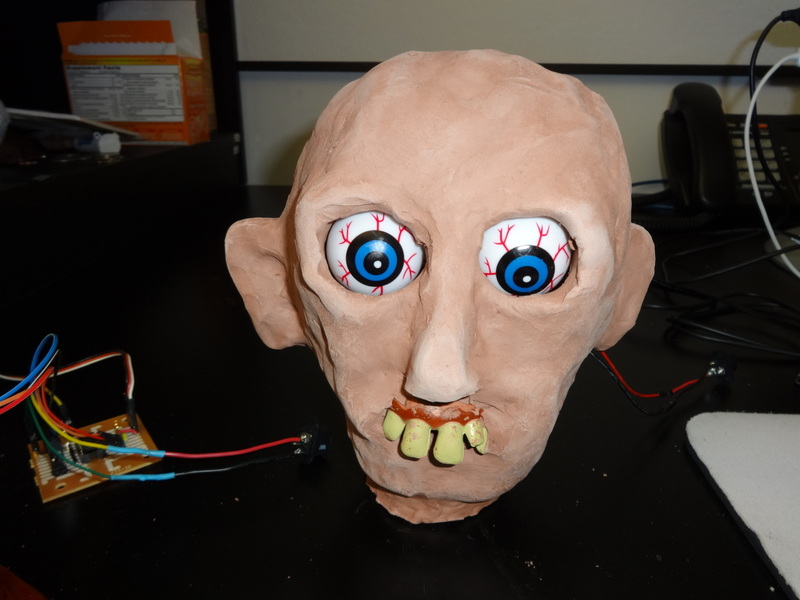 Update October 19, 2014: I made another clay head similar to my last year's motion eyes project. This time instead of pressing clay against my face, I shaped it and put some fake teeth in the mouth. 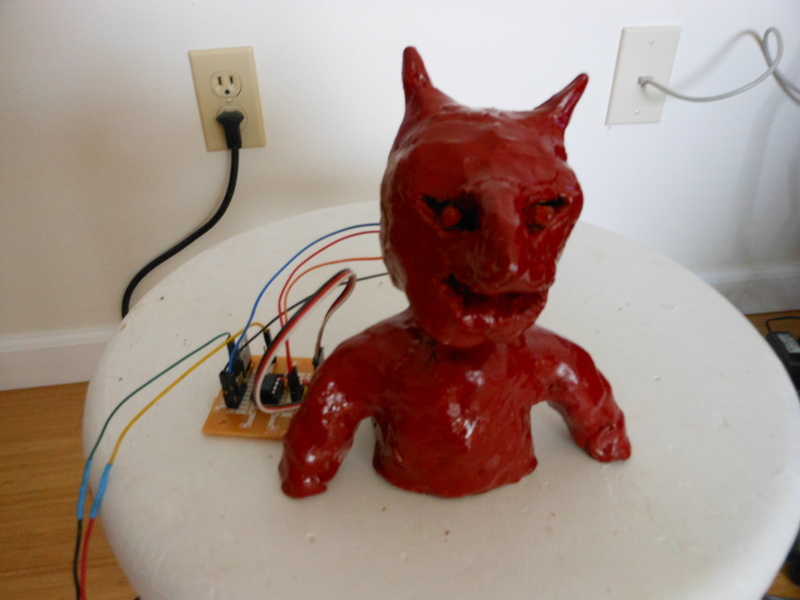 It uses almost the same circuit as the demon except each eyeball can be controlled independently. I might add some motion sensor circuit later. Here's the demonic clay figure with the circuit board on the left side. Here's the clay head with moving eyeballs.